Where to Eat: A Dining Guide for Boulder by restaurant type. Ado’s Kitchen & Bar 1143 13th St., 720-465-9063; www.span-ishatthehill.com. Laid back restaurant with global menu. Open for breakfast and lunch daily and dinner Mon.-Sat. Arcana 909 Walnut St., 303-444-3885; www.arcanarestauarant.com. Upscale American cuisine with international influences. Open for lunch and dinner Tues-Sun and weekends for brunch. Bartaco 1048 Pearl St., 719-249-8226; www.bartaco.com. Fresh, upscale street food with a coastal vibe. Open daily for lunch, dinner and late-night meals. Big Daddy’s Texas BBQ 1325 Broadway, 303-578-6934; www.bigdaddystxbbq.com Rexas-style barbecue with traditional sides. Open daily for lunch, dinner and late-night. The Bitter Bar 835 Walnut St., 303-442-3050; www.thebitterbar.com. Relaxing lounge atmosphere with outstanding cocktails. Open daily; happy hour Mon-Fri.
Blackbelly Market 1606 Conestoga St. #3, 303-247-1000; www.blackbelly.com. Locavore dining, butchery and bar. Open daily for happy hour and dinner; see website for market hours. Black Cat 1964 13th St., 303-444-5500; www.blackcatboulder.com. Sophisticated farm-to-table cuisine. Open for dinner daily. Blooming Beets Kitchen 3303 30th St., 303-443-3479; www.bloomingbeets.com. Grain-free, grass-fed, local and organic foods. Open for brunch, lunch and dinner Tues-Sun. Boulder ChopHouse & Tavern 921 Walnut St., 303-443-1188; www.chophouse.com. Offers steakhouse favorites as well as locally inspired dishes. Open for dinner and happy hour daily. Boulder Cork 3295 30th St., 303-443-9505; www.bouldercark.com. Local steakhouse with Southwestern options and fresh-baked desserts. Open for lunch Mon-Fri, dinner Mon-Sat and happy hour daily. Bramble & Hare 1970 13th St., 303-444-9110; www.brambleandhare.com. Farmhouse kitchen and pub. Dining room, bar and private-room seating. Open daily for dinner and late night. The Buff 2600 Canyon Blvd., 303-442-9150; www.buffrestaurant.com. Traditional and unique menu items. Open for breakfast and lunch daily. Café Blue 5280 Spine Road, 303-530-4345; www.cafebluegunbarrel.com. Options range from chicken piccata to Cajun-spiced calamari. Open for lunch and dinner Mon-Fri and dinner Mon.-Sat. 900 Baseline Road, 303-440-3776; www.chautauqua.com. 1100 13th St., 720-398-8331; www.thecornerboulder.com. The “healthy choice on the Hill” offers breakfast items, salads, soups and sandwiches. Open daily for breakfast, lunch and dinner. 2115 13th St., in the Hotel Boulder­ado, 303-442-4880; www.boulderado.com. Dark Horse Bar & Grill 2922 Baseline Road, 303-442-8162; www.darkhorsebar.com. Gourmet burgers, jumbo wings, chicken and vegetarian dishes. Open daily for lunch and dinner. Dot’s Diner 1333 Broadway, 303-447-9184; 2716 28th St., 303-449-1323; 20 Lakeview Drive, Nederland, 303-258-8368; www.dotsdinerboulder.com. Huevos rancheros, sandwiches, Nepali food, homemade biscuits and espresso drinks. Open daily for breakfast and lunch. Doug’s Day Diner 2400 Arapahoe Ave., 303-449-4733; www.boulder.dougsdaydiner.com. Tex-Mex, sandwiches and burgers. Open daily for breakfast and lunch. Emmerson 1600 Pearl St., Suite 100, 303-953-9852; www.emmersonrestaurant.com. Grain-based menu specializing in breads, pastries, pizzas, pastas, porridges and grain-based spirits. Open for breakfast, lunch and dinner Mon.-Sat. Eureka! 1048 Pearl St.; www.eurekarestaurantgroup.com. Modern twists on American classics. Open daily for lunch and dinner, brunch Sat-Sun. Foolish Craig’s Cafe 1611 Pearl St., 303-247-9383; www.foolishcraigs.com. An eclectic menu with plenty of hearty American food. Open daily for breakfast and lunch, dinner Wed.-Mon. French Quarter Brasserie & Oyster Bar 1207 Pearl St., 703-357-1957; www.frenchquarterbrasserie.com. New Orleans-style restaurant. Open daily for lunch and dinner. Fresh Thymes Eatery 2500 30th St., #101, 303-955-7988; www.freshthymeseatery.com. Organic meals, desserts and quick bites. Open for lunch and dinner Mon-Sat. 8735 N. Foothills Highway (U.S. Highway 36) at Lefthand Canyon Drive, 303-440-7979; www.greenbriarinn.com. Jax Fish House 928 Pearl St., 303-444-1811; www.jaxboulder.com. Fresh fish and excellent happy hour drinks and eats, including happy hour oysters. Open daily from 4pm. 900 Walnut St., in the St Julien Hotel & Spa, 720-406-7399; www.jillsdining.com. Open daily for breakfast, lunch and dinner, with brunch on Sundays and vegan lunch on Fridays. KT’s Real Good BBQ 7464 Arapahoe Road, 303-786-7608; 2660 Broadway, 303-442-3717; www.ktsbbq.com. Memphis-style, hickory-smoked meats with traditional accompaniments. Open Mon-Sat for lunch and dinner. Breakfast Mon-Sat at Broadway location. 2115 13th St., downstairs in the Hotel Boulderado, 303-443-0486; www.license1boulderado.com. The Lounge 2028 14th St., 303-998-9350; www.bouldertheater.com. Craft cocktails, beer, wine and small plates. Open at 5pm Tues-Sat and on event nights. Moe’s Original Bar B Que 675 30th St. 303-440-4227, www.moesoriginalbbq.com. Award-winning barbecue includes pulled pork, ribs, wings and more. Open daily for lunch and dinner. Murphy’s 2731 Iris Ave., in Willow Springs Shopping Center, 303-449-4473; 657 S. Broadway, 303-494-7626; www.murphysboulder.com. Salads, sandwiches, soups and entrées. Open for lunch and dinner daily, brunch Sat-Sun. Next Door 1035 Pearl St., 720-542-8159; www.nextdooreatery.com. Easygoing cafe providing farm-to-table fare & craft beers in a comfy space with a communal vibe. Open for lunch and dinner daily. 4580 Broadway Unit #D-1, 303-448-1500; www.restaurant4580.com. Oak at Fourteenth 1400 Pearl St., 303-444-3622; www.oakatfourteenth.com. Local and seasonal new American cuisine. Open for lunch Mon-Sat, late night and dinner daily. The Rayback Collective 2775 Valmont Road, 720-885-1234; www.therayback.com. Boulder’s first food truck park has a beer and wine bar, eclectic cuisine options and yard games. Open daily for light breakfast, lunch and dinner with a rotating truck lineup. Riffs Urban Fare 1115 Pearl St., 303-440-6699; www.riffsboulder.com. Locally produced bounty offered in small-plate, appetizer and entrée portions. Open daily for lunch and dinner, happy hour Mon-Fri. The Roadhouse Boulder Depot 2366 Junction Place, 303-443-6100; www.roadhouseboulderdepot.com. An eclectic menu and flashy decor in refurbished Boulder train depot. Open for lunch and dinner daily, brunch Sat-Sun. Rueben’s Burger Bistro 1800 Broadway, 303-443-5000; www.ruebensburgerbistro.com. All-natural beef, chicken, buffalo and veggie burgers and more. Open for lunch and dinner daily. Salt The Bistro 1047 Pearl St., 303-444-7258; www.saltthebistro.com. Locally sourced ingredients meet innovative thinking. Open daily for lunch and dinner, brunch Sat-Sun. Santo 1265 Alpine Ave., 303-442-6100; www.santoboulder.com. Northern New Mexico style restaurant Check website for hour. Shine Restaurant and Potion Bar Opening mid-December, 2480 Canyon Blvd, Suite M-1, 303-449-0120; www.shineboulder.com. Organic, gluten-free cuisine with lots of vegetarian options. Lunch and dinner Mon-Fri, brunch and dinner Sat-Sun. The Sink 1165 13th St., 303-444-7465; www.thesink.com. Boulder’s oldest restaurant and bar serving burgers, pizzas, sandwiches and salads. Open for lunch, dinner and late night daily. Snarfburger 2000 Arapahoe Ave., 303-444-7711. www.snarfburger.com. Burgers, sandwiches, “frings” and frozen custard. Open daily for lunch, dinner. Snooze 1617 Pearl St., 303-225-7344; www.snoozeeatery.com. Twists on traditional breakfast and brunch items with local, natural ingredients. Open for breakfast and lunch daily. South Mouth Memphis Hot Wings 1650 Broadway, Unit A, 303-449-9464, www.southmouthwings.com. Memphis-style hot wings. Delivery, lunch, dinner and late night daily. 2115 13th St., in the Hotel Boulderado, 303-442-4880; www.spruceboulderado.com. Tangerine 2777 Iris Ave., 303-443-2333; www.tangerineboulder.com. Open daily for breakfast, brunch and lunch made with fresh, seasonal ingredients from Colorado farmers. Thyme on the Creek and Coaches Corner Sports Bar 1345 28th St., in the Millennium Harvest House, 303-443-3850, www.millenniumhotels.com/boulder. West End Tavern 926 Pearl St., 303-444-3535; www.thewestendtavern.com. Rustic and cozy tavern serving American comfort food. Open daily for lunch and dinner, and brunch on Sundays. Wild Standard 1043 Pearl Street, 720-638-4800; www.wildstandard.com. Menu features seasonal, fresh fish and locally sourced ingredients and award-winning cocktails. Open daily for happy hour and dinner and lunch Wed-Sun, brunch Sat-Sun. Yellowbelly Chicken 2525 Arapahoe Ave., Unit E-1B, 303-532-4596; www.yellowbellychicken.com. Gluten-free fried chicken. Open for lunch and dinner daily. Zeal 1710 Pearl St., 720-708-6309; www.zealfood.com. Organic menu and juice bar, extensive gluten-free options. Open daily for breakfast, lunch and dinner. Zolo Grill 2525 Arapahoe Ave., in The Village shopping center, 303-449-0444; www.zologrill.com. 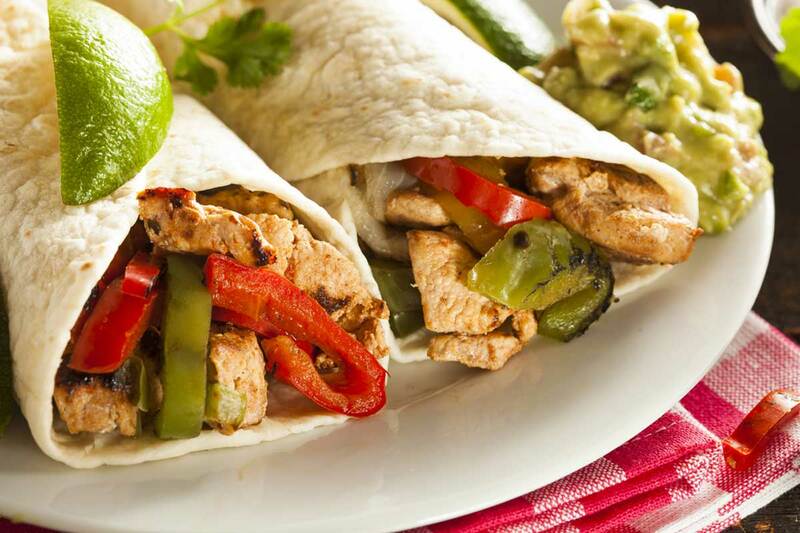 Southwestern and South American cuisine with many vegetarian and gluten-free items. Open for lunch and dinner daily, brunch Sat-Sun. Asher Brewing 4699 Nautilus Court, Suite 104, 303-530-1381; www.asherbrewing.com. All-organic beer, with tap room, small bites and free tours. Open daily. Avery Brewing Co. 4910 Nautilus Court, 303-440-4324; www.averybrewing.com. Large tap room with upscale pub fare and guided tours. Open daily. Beyond the Mountain Brewing Co. 6035 Longbow Drive, Unit 109, 303-530-6981; www.beyondthemountainbrewing.com. Craft brewery and music venue. Open Wed-Sun. Bohemian Biergarten 2017 13th St., 720-328-8328; www.bohemianbiergarten.com. European beers, full menu and happy hour daily. 2880 Wilderness Place, 303-444-8448; 1123 Walnut St., 303-447-1345; www.boulderbeer.com. Boulder’s oldest craft brewery and its new taproom. Full menu at both. Open daily. Bru 5290 Arapahoe Ave., 720-638-5193; www.bruboulder.com. Hand-built ales and carefully crafted food. Open daily for lunch and dinner. Decadent Saint/Wild Cider Tasting Room 1501 Lee Hill Drive, 303-963-6342; www.decadentsaint.com. Intimate tasting room with a great selection of beverages. Open Thurs-Sat afternoons and evenings, and Sun afternoons. 1600 38th St., 303-449-3283; www.fatebrewingcompany.com. Craft beer and gastropub dining. Open for lunch and dinner daily, brunch Sat-Sun. Finkel & Garf Brewing Co. 5455 Spine Road, Unit A, 720-379-6042; www.finkelandgarf.com. Childhood snacks, handcrafted beer and games for kids at heart. Open daily. Gunbarrel Brewing Co. 7088 Winchester Circle, 800-803-5732; www.gunbarrelbrewing.com. Specializes in modern American interpretations of beer varieties. Open for lunch Tue-Sun and dinner daily. Lazy Dog Sports Bar & Grill 1346 Pearl St., 303-440-3355; 3100 Village Vista Drive, Erie, 303-664-5299; www.thelazydog.com. Open daily for lunch and dinner, happy hour Mon-Fri.
Mountain Sun Pub & Brewery 1535 Pearl St., 303-546-0886; www.mountainsunpub.com. Pub fare with vegetarian options. Open for lunch and dinner daily. Oskar Blues Taproom 921 Pearl St.; www.oskarblues.com. Cajun eats, craft beer and live music. Open for lunch and dinner daily. The Post Brewing Co. 2027 13th St., 720-372-3341; www.postchickenandbeer.com. Fried chicken, home-cooked sides, and award-winning beer. Open for brunch Fri-Sun and dinner daily. Sanitas Brewing 3550 Frontier Ave., Unit A, 303-442-4130; www.sanitasbrewing.com. Craft beers and large event space. Taco truck on side patio. Open daily. Southern Sun Pub & Brewery 627 S. Broadway, 303-543-0886; www.mountainsunpub.com. South Boulder location of popular Mountain Sun brewery. Handcrafted beer and American dishes. Open daily for lunch and dinner, brunch Sat-Sun. Twisted Pine Brewing 3201 Walnut St., Suite A, 303-786-9270; www.twistedpinebrewing.com. Beer-infused menu and 24 beers on tap. Open daily. Under the Sun Eatery & Taphouse 627A S. Broadway, 303-927-6921; www.mountainsunpub.com. Craft pizzas, bites, dinner and beers daily, Sat-Sun brunch. Upslope Brewing Company 1898 S. Flatiron Court, 303-396-1898; 1501 Lee Hill Road, 303-449-2911; www.upslopebrewing.com. Larger brewery with canning operation, rotating food trucks and live music. Open daily. VisionQuest Brewery 2510 47th St., Suite A2, 720-446-9387; www.visionquestbrewing.com. Craft brewery and taproom. Open daily. West Flanders Brewing Co. 1125 Pearl St., 303-447-2739; www.wfbrews.com. Local brewpub with diverse menu. Open for lunch and dinner daily. Alpine Modern Cafe 904 College Ave., 303-954-0129; www.alpinemodern.com/cafe. Bright, modern cafe with gluten-free and vegan options. Outdoor seating with fire pit. Open daily for breakfast and lunch. Amante 1035 Walnut St., 303-546-9999; 4580 Broadway, 303-448-9999; 2850 Baseline Road, 720-612-7901; 1275 Alpine Ave, 303-448-9999; www.amantecoffee.com. Espresso bar with coffee imported from northern Italy, pastries, panini, gelato, and Italian beer and wine. Open daily. Caffè Sole 637-R S. Broadway, in Table Mesa Shopping Center, 303-499-2985; www.caffesole.com. Coffee shop does lunch, espresso, smoothies, pastries, wine and beer. Open daily for breakfast, lunch and dinner. Live music Fri-Sat and happy hour daily. Dragonfly Coffee Tasting Room 1501 Lee Hill Dr., #22, 303-579-2154; www.dragonflycoffeeroasters.com. The new tasting room is connected to the purveyor’s roasting facility. Open Thurs-Sat. Fior Gelato 1433 Pearl St., 720-269-4117; 1021 Pearl St., 720-456-6132; www.fiordilattegelato.com. Housemade gelato made from scratch every day. Open daily. Glacier Ice Cream 3133 28th St., 303-440-6542; 4760 Baseline Rd., 303-499-4760; www.glaciericecream.com. Housemade ice cream and gelato in traditional and creative flavors. Open daily. Ku Cha House of Tea 1211 Pearl St., 303-443-3612; www.kuchatea.com. Teas from around the world. Open daily. The Laughing Goat 1709 Pearl St.; 1720 Pleasant St., in Norlin Library; 2907 55th St. www.thelaughinggoat.com. Coffeehouse with nightly music, poetry and other events. Open daily. Lucky’s Bakehouse 3990 Broadway, 720-596-4905; www.luckysmarket.com/luckys-bakehouse. Breakfast, baked goods, specialty cakes and ice cream. Open daily. Lucky’s Café 3980 Broadway, 303-444-5007; www.luckysmarket.com/luckys-cafe. Breakfast, burgers, sandwiches, salads and soups. Open daily for breakfast and lunch. Moe’s Broadway Bagel 2650 Broadway, 303-444-3252; 3075 Arapahoe Ave., 303-442-4427; 3267 28th St, 720-406-9000; 675 S. Broadway, 720-287-0317; www.moesbagel.com. Bagels, spreads and sandwiches. Open daily. Ozo Coffee Co. 5340 Arapahoe Ave., 303-440-0233; 1015 Pearl St. 303-645-4885; 1898 S. Flatiron Court, 303-396-0302 (weekdays only); 1232-A S. Hover, Longmont, 720-600-6689; www.ozocoffee.com. Freshly roasted, handcrafted coffees. Open daily. Peachy’s Superfruit Café 1926 14th St., 720-603-4196; www.peachysboulder.com. Healthy smoothie bowls with customizable options. Open Mon-Sat for breakfast, lunch and dinner. Pekoe Sip House 1225 Alpine Ave., 303-444-5953; 2500 30th St., #100, 303-444-4207; 1125 18th St., in ATLAS Building at CU. www.pekoesiphouse.com. Loose and packaged teas, specialty drinks, pastries and sandwiches. Open daily. (ATLAS location weekdays only). The Point Cafe 1101 13th St., 303-449-1907; www.thepointcafeboulder.com. Craft beverages, snacks and sandwiches. Open daily for breakfast and lunch. Seeds Library Café In Boulder Public Library Main Branch, 1001 Arapahoe Ave., 720-884-6372; www.seedsboulder.com. Light local foods, pastries and coffee. Opens daily with library, closes 5 pm. Sweet Cow Ice Cream 22628 Broadway, 303-447-3269; 669 S. Broadway, 303-494-4269; 637 Front St., Louisville, 303-666-4269; www.sweetcowicecream.com. Handmade ice cream daily. 1932 14th St., 720-406-7548; www.teeandcakes.com. Freshly baked pastries and cupcakes, coffee drinks, custom cakes. Open Mon-Sat. Trident Booksellers & Café 940 Pearl St., 303-443-3133; www.tridentcafé.com. Croissants, pastries, teas and coffee drinks. Open daily. Walnut Café 3073 Walnut St., 303-447-2315; 673 S. Broadway, 720-304-8118; 2770 Arapahoe Road, Suite 116, Lafayette, 720-328-9208; www.walnutcafe.com. Waffles, omelets, huevos rancheros, daily specials and pies. Open daily for breakfast and lunch. Woodgrain Bagels 2525 Arapahoe Ave., Suite E-1A, 303-284-0396; www.woodgrainbagels.com. Mod deli featuring Montreal-style bagels. Open 6am-6pm daily. French Quarter Brasserie & Oyster Bar 1207 Pearl St., 703-357-1957 ext 3; www.frenchquarterbrasserie.com/boulder-co. New Orleans Creole and Cajun restaurant specializing in seafood. Open daily for lunch and dinner. Lucile’s 2124 14th St., 303-442-4743; 518 Kimbark St., Longmont, 303-774-9814; www.luciles.com. Creole café open daily for breakfast and lunch. 1770 13th St., 303-442-4993; www.boulderteahouse.com. Flagstaff House 1138 Flagstaff Road, 303-442-4640; www.flagstaffhouse.com. Upscale Continental and American cuisine. Open for dinner daily. 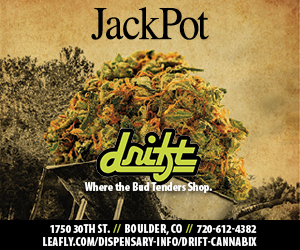 Cured 1825 Pearl St., 720-389-8096; Cured West, 2019 10th St., 720-389-8096 ext. 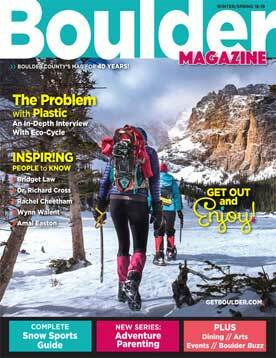 2; www.curedboulder.com. Cheese, wine, gourmet items, sandwiches and salads. Open daily. Dish Gourmet 1918 Pearl St., 720-565-5933; www.dishgourmet.com. Sandwiches and sides made from fresh, local ingredients. Open late morning through afternoon Mon-Sat. Half Fast Subs 1215 13th St., 303-449-0404; www.halffastsubs.com. Huge variety of subs and salads, famous long island iced teas and outdoor seating. Open daily for lunch, dinner and late night. Lindsay’s Boulder Deli at Häagen-Dazs 1148 Pearl St., 303-443-9032; www.lindsaysboulderdeli.com. Ice cream, baked goods, soups, salads and deli sandwiches. Open daily for breakfast, lunch and dinner. Naked Lunch 3301 Arapahoe Ave., 303-449-4647; www.nakedlunchcolorado.com. Hot and cold sandwiches and salads. Catering available. Open for breakfast, lunch and late afternoon Mon-Sat. Organic Sandwich Company 1500 Pearl St. (at the corner of 16th and Pearl streets), 720-639-3986; www.organicsandwichco.com. Cozy, all-day cafe serving hot & cold gourmet sandwiches, plus breakfast, with an organic focus. Salvaggio’s 2609 Pearl St., 303-938-1981; 1397 Pearl St., 303-545-6800; 1107 13th St., 303-448-1200; 1335 Broadway, 303-448-1200; www.salvaggiosdeli.net. Classic Italian deli serving hearty sandwiches and homemade soups for breakfast, lunch and dinner daily. Snarf’s 2128 Pearl St., 303-444-7766; 5340 Arapahoe Ave., 303-444-3404; 645 Ken Pratt Blvd., Longmont, 303-774-1441; 2130 Mountain View Ave., Longmont, 303-702-1111. www.eatsnarfs.com. Subs made to order. 1011 Walnut St., 303-998-1010; www.brasserietenten.com. L’Atelier 1739 Pearl St., 303-442-7233; www.latelierboulder.com. Artistic French cuisine. Open Tues-Sat for dinner. Le French Café 2525 Arapahoe Ave., #C1, 303-284-2265. Cafe serving traditional fare, including pastries and crepes. Open Tues-Sun for breakfast and lunch. Mateo 1837 Pearl St., 303-443-7766; www.mateorestaurant.com. Bistro and Provençal-style food. Open Mon-Fri for lunch and happy hour, Mon-Sat for dinner, and Sat-Sun for brunch. PMG 2018 10th Street, 303-786-8585; www.pmgwine.com. Wine bar with French bites, dinner plates and dessert. Open daily for happy hour and dinner. Curry n Kebob 3050 28th St., 720-328-4696; www.currynkebob.com; Northern Indian cuisine and Bangladeshi food. Open for lunch and dinner daily. Jaipur Indian Restaurant 1214 Walnut St., 303-442-0999; www.jaipurindianrestaurant.com. Traditional Indian fare. Open daily for lunch and dinner. Kathmandu Restaurant 1964 28th St., 303-442-6868; 110 N. Jefferson St., Nederland, 303-258-1169; www.nepalidining.com. Nepali cuisine. Open for lunch and dinner daily. Mt. Everest Cuisine 4800 Baseline Road A-107, 303-499-0469; www.mounteverestcuisine.com. Authentic dishes of Nepal and India. Open for lunch and dinner Mon-Sat. Nepal Cuisine 4720 Table Mesa Drive. C100, 303-554-5828; www.nepalcuisineboulder.com. Fresh, authentic food for lunch and dinner Mon-Sat. Vegan lunch buffet Mon. Roxie’s Tacos 1135 Broadway, 303-444-4465; wwwroxiestacos.com. INdian specialties served in tacos with vegan and gluten free options. Open daily for lunch and dinner Mon-Sat. 825 Walnut St., 303-440-7151; www.sherpasrestaurant.com. Tandoori Grill 619 S. Broadway St., 303-543-7339; www.tandoorigrillboulder.com. East Indian cuisine. Open for lunch (buffet) and dinner daily. Tiffins India Cafe 2416 Arapahoe Ave., 303-442-2500; www.tiffinsindiacafe.com. Humble restaurant featuring many vegetarian & vegan options of traditional South Indian fare. Open Tue-Sun. Abo’s Pizza 2761 Iris Ave., 303-443-1921; 637 S. Broadway, 303-494-1274; 1834 Main St. #8, Longmont, 303-678-0111; 960 Niwot Road #B5, Niwot, 303-652-0830; 1355 East Boulder Road Suite C2, Louisville, 303-604-9896; www.abospizza.com. New York-style Neapolitan pizza by the slice or whole pie. Open for lunch and dinner. Bacco 1200 Yarmouth Ave., 303-442-3899; www.baccoboulder.com. Italian cuisine and mozzarella bar. Open for lunch Mon-Sat and dinner daily. Backcountry Pizza & Taphouse 2319 Arapahoe Ave., 303-449-4285; www.backcountrypizzaandtaphouse.com. Pizza and appetizers with craft beers on tap. Open daily for lunch, happy hour and dinner. Basta 3601 Arapahoe Ave., 303-997-8775; bastaboulder.com. Wood-fired locavore kitchen serves unique cocktails, small plates, pizzas, and more. Lasagna and other family meals available for pre-ordering. Open for dinner daily. Boss Lady Pizza 1129 13th St., 303-449-0909; www.bossladypizza.com. Creative pizzas with crazy toppings. Open daily for lunch, dinner and late night. Carelli’s of Boulder Ristorante Italiano 645 30th St., in Williams Village Shopping Center, 303-938-9300; www.carellis.com. Open for lunch Mon-Fri and dinner Mon-Sat. Cosmo’s Pizza 1325 Broadway, #108, 303-447-1133; 659 30th St., 303-447-3278; 3117 28th St., 303-442-3278; www.cosmospizza.com. Casual and fast pizza joint with famous spicy range. Open daily for lunch, dinner and late night. Dagabi Cucina 3970 N. Broadway, 303-786-9004; www.dagabicucina.com. Neighborhood restaurant with plenty of free parking. Open daily for dinner. Frasca 1738 Pearl St., 303-442-6966; www.frascafoodandwine.com. Fine Italian cuisine of the Friuli region. Open for dinner Mon-Sat. Gondolier Italian Eatery 4800 Baseline Road, A104, 303-443-5015; www.gondolieritalianeatery.com. Comfortable Italian restaurant with housemade pizza, pasta and meat entrees. Open for lunch Tues-Sun and dinner daily. Pasta Jay’s 1001 Pearl St., 303-444-5800; www.pastajays.com. Traditional Italian entrées, including pizza, pasta and sandwiches. Open daily for lunch and dinner. Pizzeria Locale 1730 Pearl St., 720-708-2244; www.localeboulder.com. Contemporary pizzeria inspired by the traditional pizzerias of Naples, Italy. Also offers Italian wine on tap. Open daily for lunch and dinner. Proto’s Pizzeria Napoletana 4670 N. Broadway, 720-565-1050; 489 U.S. Highway 287, Unit 160, Lafayette, 303-661-3030; 5378 Gunbarrel Center Court #1, 720-531-8936; 600 S. Airport Road, Building B, Longmont, 303-485-5000; www.protospizza.com. Celebrated Neapolitan-style pizzeria, also serves salads desserts and cocktails. Open daily for lunch and dinner. Sforno Trattoria Romana 1308 Pearl St., 303-449-1787; www.sfornoboulder.com. Authentic Roman Italian cuisine created with local, natural ingredients. Open daily for lunch, happy hour and dinner. 2525 Arapahoe Ave., 303-396-6366; www.eatvero.com. 901 Pearl St. 720-669-0100; www.viaperla.com. Aperitivo 5530 Spine Road, 303-530-1326; www.aperitivoboulder.com. An ecclectic variety of international dishes and drinks. Open daily for breakfast and lunch, Tue-Sun for dinner. Café Aion 1235 Pennsylvania Ave., 303-993-8131; www.cafeaion.com. Tapas and Spanish-inspired dishes. Open Tues-Sun for lunch, Tues-Sat for dinner, and brunch Sat-Sun. Kalita Grill Greek Cafe 2426 Arapahoe Ave., 303-443-0596; www.kalitagrill.com. A Mediterranean restaurant known for its modern interpretation of classic dishes and high-quality, fresh ingredients. Open Mon-Sat for lunch and dinner. 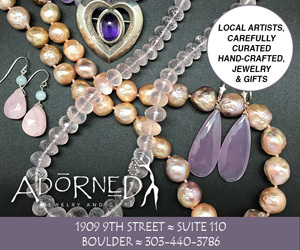 1002 Walnut St., 303-444-5335; www.themedboulder.com. Cafe Mexicali 2850 Baseline Road, Unit 1, 303-442-5588; www.cafemexicali.com. Fast-casual Mexican fare. Open for breakfast, lunch and dinner Mon-Sat and lunch and dinner Sundays. Centro Mexican Kitchen 950 Pearl St., 303-442-7771; www.centromexican.com. Mexican kitchen and drinks. Open daily for lunch and dinner and brunch Sat-Sun. Efrain’s 1630 N. 63rd St., 303-440-4045; 101 E. Cleveland St., Lafayette, 303-666-7544; 451 S. Pratt Parkway, Longmont, 720-494-0777; www.efrainsrestaurant.com. Classic Mexican food and Margaritas in a family-friendly atmosphere. Hours vary by location. 1346 Pearl St., 303-593-0041; www.estebanspearlstreet.com. Home to tacos, tequila, mezcal and live music. Open Fri-Sun for lunch and dinner, Mon-Thurs for happy hour and dinner. Illegal Pete’s 1447 Pearl St., 303-440-3955; 1124 13th St., 303-444-3055. www.illegalpetes.com. Healthy Mexican fast-casual. Hours vary by location. La Choza 4457 Broadway, 303-443-3103; 1203 13th St., 303-440-0133; 2500 47th St., 720-296-5107; www.lachozaboulder.com. Locally owned traditional Mexican food, plus hamburgers. Hours vary by location. McDevitt Taco Supply 4800 Baseline Road, Unit C-110, 720-573-4194; www.mcdevitttacosupply.com. Tacos and margaritas. Open daily for lunch and dinner. Pica’s Mexican Taqueria 5360 Arapahoe, Suite F; 303-444-2391; 901 Front St., Louisville, 720-535-8311; www.picasboulder.com. Family-friendly, fast-casual taqueria serving authentic fare made from scratch. Open daily for lunch and dinner. 2845 28th St., 303-444-2922; www.agavecolorado.com. Rincon Argentino 2525 Arapahoe Ave., 303-442-4133; www.rinconargentinoboulder.com. Empanadas and more, inspired by the natural farming customs of Argentina. Open Mon-Sat for lunch and dinner. Rio Grande Mexican Restaurant 1101 Walnut St., 303-444-3690; www.riograndemexican.com. Mexican food and Margaritas. Open for lunch and dinner daily, brunch Sat-Sun. T/aco 1175 Walnut St., 303-443-9468, www.tacocolorado.com. An urban taqueria. Open daily for lunch, dinner and happy hour. TACO JUNKY 1149 13th St., 303-443-2300; www.tacojunky.com. Tacos, tequila and cocktails. Open for lunch and dinner daily. Tahona Tequila Bistro 1035 Pearl St., 303-938-9600; www.tahonaboulder.com. Happy hour, full kitchen and late-night dancing. Open daily for dinner; lunch Fri-Sun. Three Margaritas 3390 28th St., 303-998-1234; www.3margaritasmex.com. Mexican dishes. Open daily for lunch and dinner. Verde 3070 28th St., 720-470-4348; www.verdeboulder.com. A burrito truck turned neighborhood eatery, with fresh ingredients. Open for lunch and dinner Mon-Sat. Alforat 1110 13th St., 303-444-4202; Fast and delicious Middle Eastern restaurant on the hill. Open for lunch, dinner and late night Mon-Sat. Ali Baba Grill 3030 28th St., 303-440-1393 www.alibabagrill.com. Authentic Middle Eastern cuisine cooked fresh daily. Open for lunch and dinner daily. Arabesque 1634 Walnut St., #101, 720-242-8623; www.arabesqueboulder.com. Family-owned café is open Mon-Sat for breakfast and lunch. Caspian Mediterranean Deli & Grocery 2607 Pearl St., 303-443-1210. Traditional Middle Eastern food such as gyro wraps, kebabs, falafel, hummus. Open daily for breakfast, lunch and dinner. Mediterranean Market & Deli 2690 28th St., 303-448-9552. Gyros, falafel sandwiches, salads, olive bar. Middle Eastern specialty market. Open daily. Aloy Thai Cuisine 2720 Canyon Blvd., 303-440-2903; www.aloythai.com. Authentic Thai cuisine with a focus on fresh and healthy dishes. Open daily for lunch and dinner. Black Pepper Pho 2770 Pearl St., 303-440-1948; www.blackpepperpho.com. Pho (rice-noodle soup) and grilled noodle bowls. Open daily for lunch and dinner. Buddha Café 2719 Iris Ave., Boulder, 720-565-0506; www.buddhathaicuisine.com. Traditional Thai cuisine including soups, curries and noodle dishes. Open for dinner daily, lunch Mon-Sat. Chez Thuy 2655 28th St., 303-442-1700; www.chezthuy.com. A Vietnamese mainstay embracing a rich blend of culinary traditions including French, Chinese, Thai and Indian. Open for lunch Mon-Sat; dinner daily. 2014 10th St., 720-580-1100; www.chimera.restaurant. China Gourmet 3970 N. Broadway, Suite 102, 303-440-3500; 1345 Dry Creek Drive, #A, Longmont, 303-776-6930; www.chinagourmetmenu.com. Traditional Mandarin and Szechwan cuisine prepared without MSG. Open for lunch Sun-Fri and dinner daily. Five Spice Asian Cuisine 3325 28th St. (fronts on Iris Avenue), 720-565-0707; www.fivespiceboulder.com. Familiar and homestyle Chinese dishes. Open for lunch and dinner daily. Flower Pepper Restaurant 2655 Broadway, 720-565-0707; www.fivespiceboulder.com. Casual Chinese specializing in noodles, rice dishes and homemade dumplings. Open for lunch and dinner daily. 1117 Pearl St., 303-473-4730, www.hapasushi.com. Inventive sushi and Japanese-Hawaiian fusion. Open for lunch and dinner daily. 1221 Spruce St., 303-440-0807; www.Izakayaamu.com. private tea rooms. Open daily for dinner. 1136 Pearl St., on Pearl Street Mall, 303-938-0330; www.boulderjapango.com. Kasa Japanese Grill & Bar 1468 Pearl St., 303-938-8888; www.kasasushiboulder.com. Sushi and yakitori restaurant featuring traditional Japanese preparations. Open Tues-Sun for lunch and dinner. Khow Thai Café 1600 Broadway, 303-447-0273; www.khow-thai.com. Traditional Thai cuisine served in a casual atmosphere. Open for lunch Mon-Fri and dinner daily. Korea House 2750 Glenwood Drive, 303-449-1657; www.koreahouseboulder.com. Korean and Japanese fusion. Open for lunch and dinner Mon-Sat. Lee Yuan Chinese Cuisine 4800 Baseline Road, 303-494-4210; www.leeyuanchinese.com. Traditional buffet, open for dinner daily and lunch Mon-Sat. May Wah 2500 Baseline Road, 303-499-8225; www.maywah.net. Vietnamese, Thai and Chinese cuisine. Open for lunch Mon-Sat, dinner daily. Moongate Asian Bistro & Sushi Bar 1628 Pearl St., 720-406-8888; www.moongateasianbistro.com. Chinese, Thai, sushi and other Asian fusion. Open daily for lunch and dinner. Motomaki 1600 28th At., 720-943-2030; www.motomaki.com. Sushi burritos and burrito bowls. Open daily for lunch and dinner. Sushi Bistro Tasuki 1575 Folsom St., 303-447-9718; www.sushitasuki.com. Traditional Japanese cuisine and sushi. Open for dinner Tues-Sun. Sushi Hana 1220 Pennsylvania Ave., 303-447-9883; www.sushihanaboulder.com. Sushi and Japanese food, Hawaiian dishes. Open for dinner daily, lunch Mon-Sat. Sushi Zanmai 1221 Spruce St., 303-440-0733; www.sushizanmai.com. Features sushi, Japanese fare and creative dishes by local and Japanese chefs. Open for lunch and dinner daily. Happy hour daily. Tsing Tao 607 South Broadway, in Table Mesa Shopping Center, 303-494-6228; www.tsingtaorestaurant.net. Open daily for lunch, dinner and delivery. Yurihana Sushi Bar 6525 Gunpark Dr. Suite 330, 303-530-0499; www.yurihanaboulder.com.com. Open Mon-Fri for lunch and dinner daily. 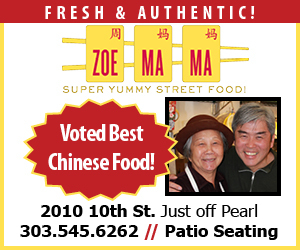 2010 10th St., 303-545-6262; www.zoemama.com. Corrida 1023 Walnut St., #400, 303-444-1333; www.corridaboulder.com. Spanish-inspired steakhouse with mountain views. Open daily for dinner. Julia’s Kitchen 3980 Broadway, Unit 104, 720-389-4478; www.juliaskitchen.com Organic, vegan and gluten-free food. Take-out only. Open for pick up Wednesday evening and Thursday afternoon. Leaf Vegetarian Restaurant 2010 16th St., 303-442-1485; www.leafvegetarianrestaurant.com. Creative vegetarian cuisine. Open daily for lunch and dinner, and Sat-Sun for brunch. Native Foods 1675 29th St., Suite 1272, 303-442-0213; www.nativefoods.com. Fast-casual vegan menu. Open for lunch and dinner daily. Thrive 1509 Arapahoe Ave., 720-616-7785; www.thriveraw.com. Superfood smoothies, salads, puddings, porridges and snacks. Specializes in raw, vegan foods. Open daily for breakfast, lunch and dinner.